Click here to visit their facebook and like them. Then fill out the form to enter their sweepstakes. 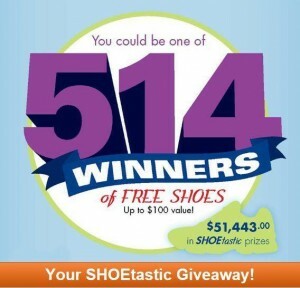 514 winners will each score a certificate for a free pair of shoes (the value of the certificate is $100). Good luck!